Getting Married This Winter? This Wedding Stylist Will Be Your New BFF! Brides, grooms and families, we found this awesome wedding stylist who will put an end to all your wedding shopping & styling woes. Soraya has turned their fashion obsession to passion and is worth every penny. 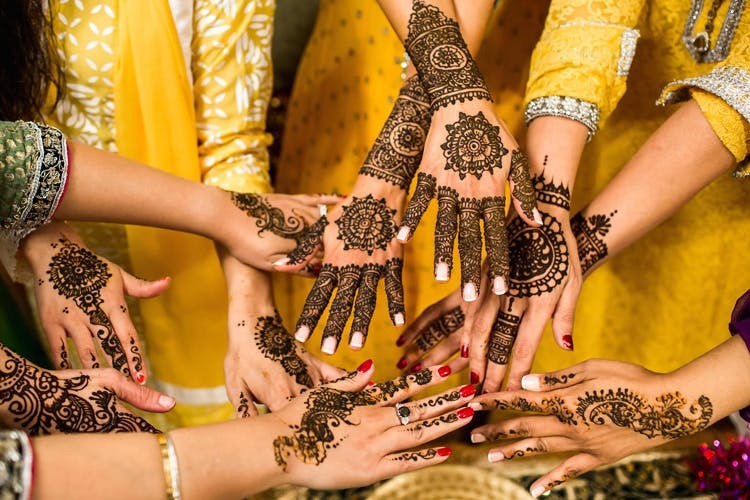 A big fat Indian wedding calls for tons of preparation, and you need someone who is experienced and talented to rely upon. Soraya, wedding shopping consultants and stylists, basically help you curate looks right from scratch, and they're customised as per your body type, budget & preferences. The Soraya team first sets up a consultation session where they understand your style and dress sense and then quote you the budget for the same. A complete wedding project takes up to three to four months before the D-day, so this is the best time to block them. They take care of the bridal outfits and the trousseau – Indian wear, western gowns, casual outfits, fashion jewellery, lingerie, shoes, makeup and everything under the sun. The services are not just restricted to the bride & groom, but the entire family, so anyone and everyone can avail them for a lucrative cost (which we think is pretty awesome). Their expertise in assembling outfits for every kind of occasion makes the perfect personal shoppers. Got a huge business deal to crack? Or an important party to attend? Book your appointment with the Soraya team so they can line up trials way before time. They’ll legit help you pick the best outfit and complementing jewellery, bags & shoes that will complete your look. Their fashion tricks and tips make the whole process fun and memorable. The good folks at Soraya aim to assist you in planning and deciding your looks right from head to toe (including dress, makeup, nails, shoes, pre-bridal). They’ll make sure you slay on your special day and will take all the efforts required. So, what are you waiting for? Book your appointment on 9910090621. Know more about them on Website, Facebook & Instagram.